Payasam is the sweetest temptation that drags every one towards sadya. Payasam is a must for Keralites after every feast. 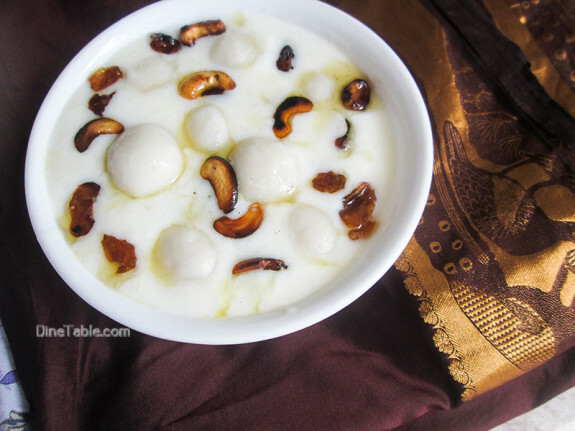 Today I am presenting a different payasma which is very tasty and delicious, Kozhukkatta Payasam Recipe / കൊഴുക്കട്ട പായസം / Rice Dumplings Dessert Recipe that you can serve for Kerala / Onam sadya. 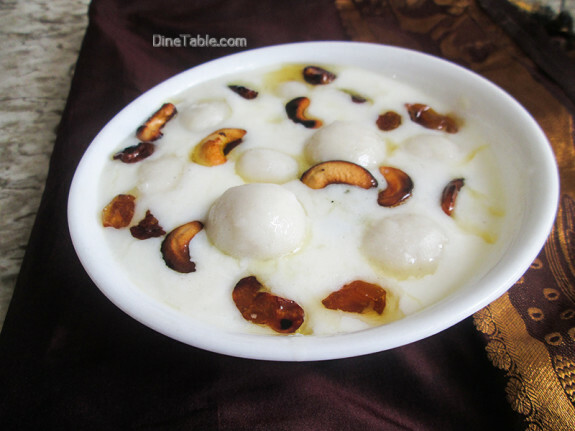 Kozhukkatta is a steamed rice dumpling made out of rice flour. 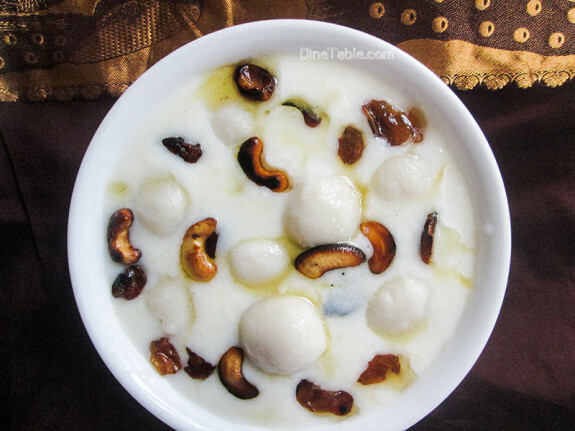 Kozhukkattas should be small lemon sized balls for Kozhukkatta Payasam / കൊഴുക്കട്ട പായസം. If you want smaller size, you can reduce the size of the kozhukkatta. The appearance of the Kozhukkatta payasma is so appealing and tempting. 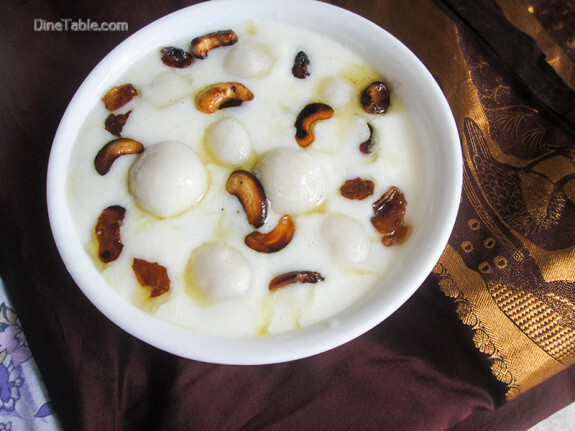 Click here for other Payasam Recipes.. Boil 2 cups of water along with coconut oil and salt in a vessel. Pour the boiled water to the rice flour little by little and mix it with a spoon. Keep it aside till it is warm enough to handle. Knead the dough and roll the dough into lemon sized balls. 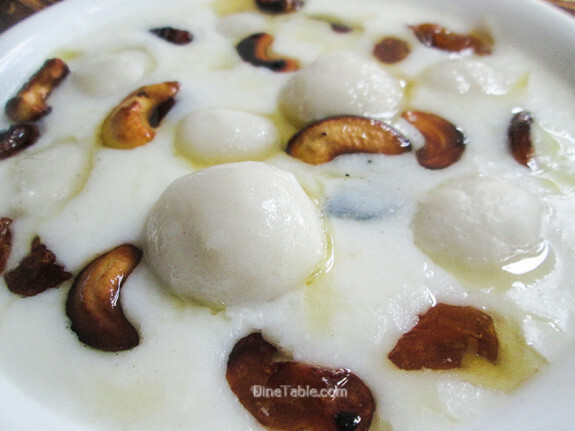 Steam these balls in a steamer for about 15 minutes. Keep it aside. Kozhukatta is ready. Heat 3 cups of water and 3 cups of milk in a deep bottomed vessel and allow it to boil. Add powdered cardamom, sugar and stir well. Reduce the heat and add the cooked rice dumplings. Cover and cook for 5 minutes on very low heat. Mix 1 tbsp of rice flour and 2 tbsp of water to paste in a bowl. 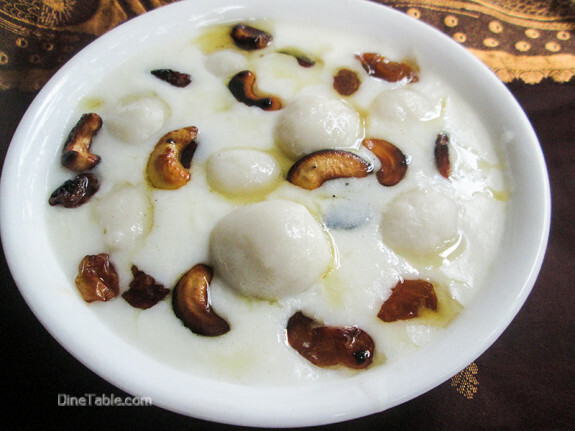 Pour this to the Kozhukatta mix and stir well and cook for 2 minutes. When it starts thickening, switch off the flame. Heat a pan and add 3 tsp of ghee and fry the cashew nuts and raisins. Pour this over the kozhukkata payasam. Tasty Kozhukkata Payasam is ready. Serve it warm or chilled.